The LAA Rally has come round again. 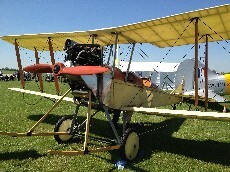 Very often we’re scouting round looking for something really exciting to talk about on the UK airshow/rally scene. 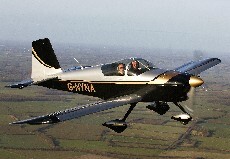 Luckily, this time the CAA has helped us out albeit at the very light end of the light aviation market. Over the coming weeks they’ll be consulting on a proposal to deregulate the single seat microlight market. So, if your new aircraft weighs in at less than 300kg (MAUW) and has only one seat, you’re away! 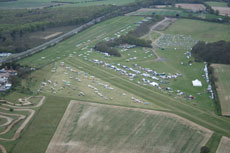 For today’s episode of Flying Podcast we’re looking at the world of microlights and light sport aircraft here in the UK and where better to do that than at the Popham Microlight Trade Fair held, not surprisingly, at Popham airfield in Hampshire. In this episode you’ll be hearing from most of the main manufacturers and importers of light sport aircraft in the UK. 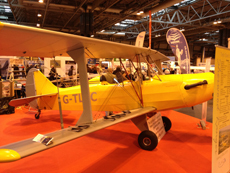 For today’s episode of Flying Podcast I went down to the Flying Show at Birmingham’s NEC. I had interviews lined up with Breezer UK, The Light Aircraft Company, Dave Sykes, GASCo and the Airspace & Safety Initiative. An interesting cross section of the people attending the show I think. The show was pretty much as it had been in previous years, not overly busy but there were plenty of interesting folk to chat to. So all-in-all probably worth going down to if you’re into aviation. We arrived at 11.30 on the Sunday and the traffic into the NEC wasn’t too bad. The £10 parking fee is a bit steep but they have a bit of a monopoly going on there so we have to stump up the cash. 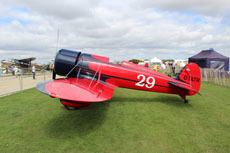 For today’s episode I travelled down to AeroExpo 2012 at Sywell Aerodrome in Northamptonshire. I had a wander round to see which exhibitors had something interesting on offer and got chatting to a fair few of them. I went down on the Friday and although there were a fair few people in attendance most exhibitors had plenty of time to spend with anyone with an interest in their products. When most of us grow slightly older, we fritter away our disposable income on a small sports car or a Harley Davidson. The aviation geeks amongst us may even buy a share in a light aircraft to satiate our love of all things that fly. But Andre Tempest has taken his love of planes one step further. A few years back, when the RAF was disposing of its fleet of Victors, he put in a sealed bid and found himself the owner of a full sized V-bomber, designed to deliver the UK’s nuclear deterrent to somewhere in the Soviet Union. 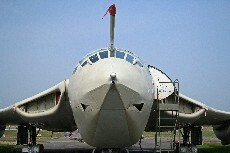 I was interested in hearing why anybody would want to own their own Victor so, on a brilliantly sunny, spring day, I went to visit Andre and ‘Lusty Lindy’, as the aircraft is known, at Elvington, near York. In episode 51 of Flying Podcast I spoke to Andy Draper of the Light Aircraft Association about building your own aircraft. To get a broader appreciation of what the association does I was pointed in the direction of Brian Hope, editor of the LAA’s magazine ‘Light Aviation’. First off I asked Brian to give me a potted history of the LAA. I knew that the group had previously been the PFA – Popular Flying Association – but I wasn’t aware that they’d had a previous incarnation. 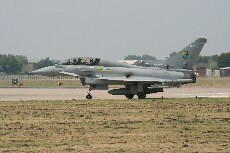 As promised, here’s the second episode from my visit, earlier this year, to RAF Coningsby and the Typhoon Display Team. I wanted to see inside the cockpit of the Typhoon and Flying Officer Gregor Ogston was kind enough to spend half an hour or so, explaining what all of the knobs, buttons and dials do. Gregor also explains what the ejection sequence is, which is fascinating to listen to. Following the look inside the aircraft Liam Whelan, the display engineer manager, and Gregor took me round the outside of the aircraft. 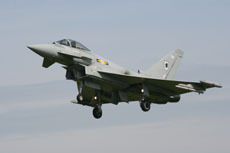 If you are REALLY interested in fast jets, and the Typhoon in particular, then this is the episode for you. At the invitation of RAF Coningsby, today I’m visiting the Typhoon Display Team to find out what it’s like to fly the Typhoon and to get a taste of what it takes to put together the superb Typhoon display. The 2 members of the team that I’m talking to are: Flying Officer Gregor Ogston who is the display team manager and Sergeant Liam Whelan the Typhoon display engineer manager. I first wanted to hear a little about the base, here in Lincolnshire, so I asked Liam what exactly was the mission of RAF Coningsby. For episode 43 of Flying Podcast I’m still in Lincolnshire. I was at RAF Coningsby during May and took the opportunity to pop in to see the Battle of Britain Memorial Flight people. They very kindly allowed me in to have a look around their hangars and to speak with some of the lucky folk that get to look after the aircraft of the Flight. For those few of you not familiar with the works of the BBMFâ€¦ they keep a select flight of historic warbirds in airworthy condition. 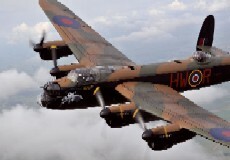 If you have ever seen a fly-past of Lancaster, Spitfire and Hurricane well that’s the BBMF. Continuing with the Lincolnshire theme, today I’m at Lincolnshire Aviation Heritage Centre. 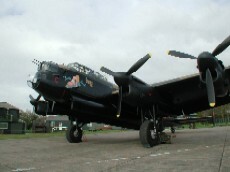 The centre is home to several WWII aircraft, most notably a Lancaster bomber and a Dakota; both of which are available for taxi rides. I started my podcast interview with Andrew Panton who runs the museum and concluded with a chat with Paddy Green, owner of the resident Dakota.